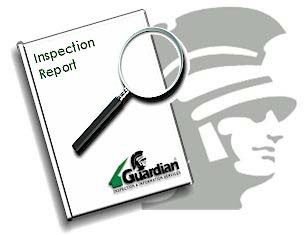 In addition to a choice of inspection products, Guardian® also offers a choice of inspection reporting formats. Each format offers unique benefits in terms of the amount and timing of the information you require. Our one-of-a-kind Internet Photo Report allows you to see the inspection through your inspector's eyes -- with digital photographs from your inspection posted at this website, including helpful captions of the defects.